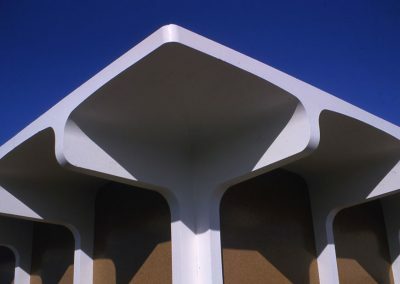 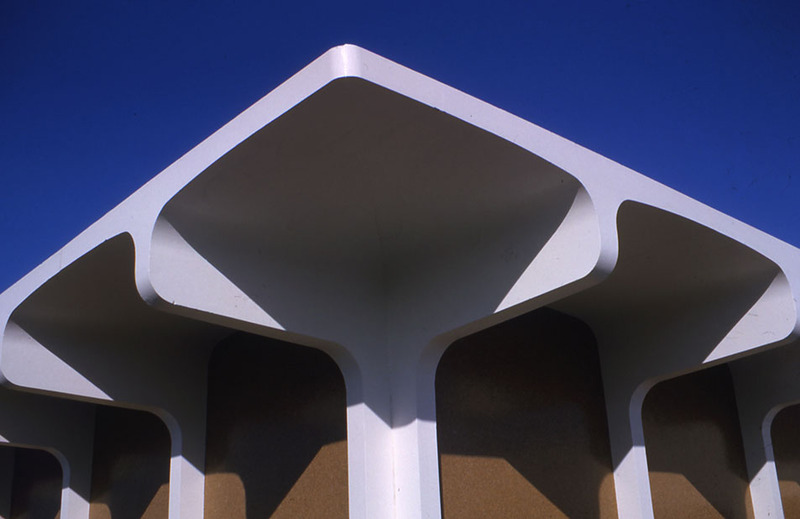 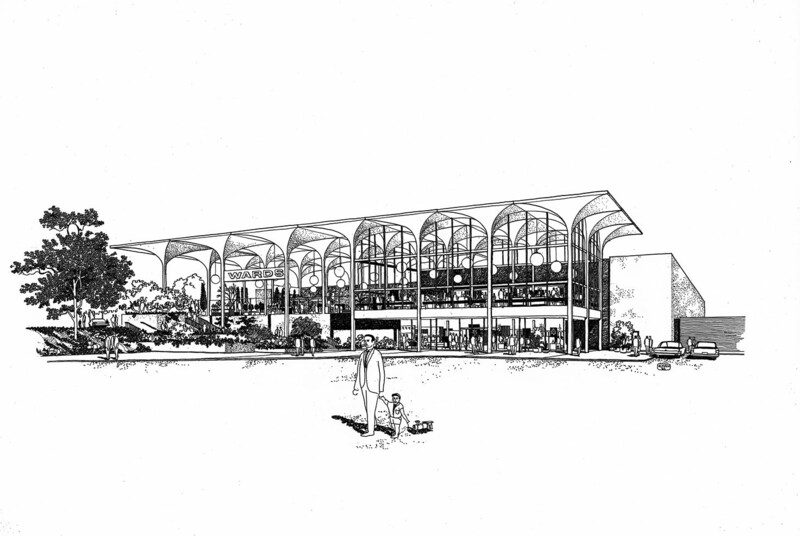 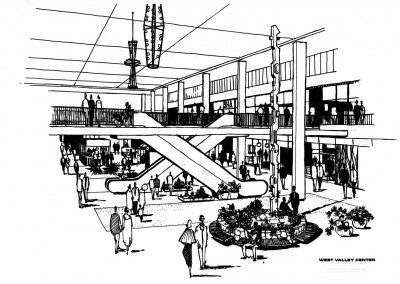 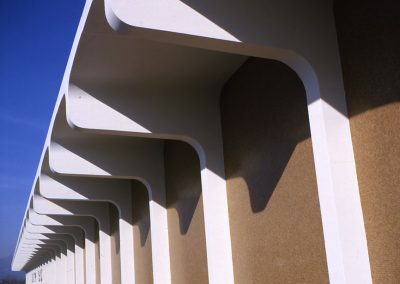 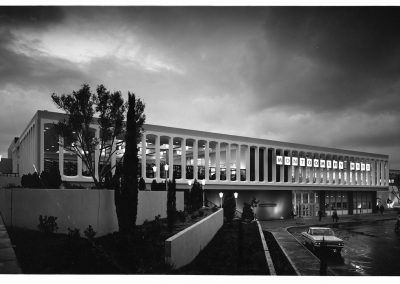 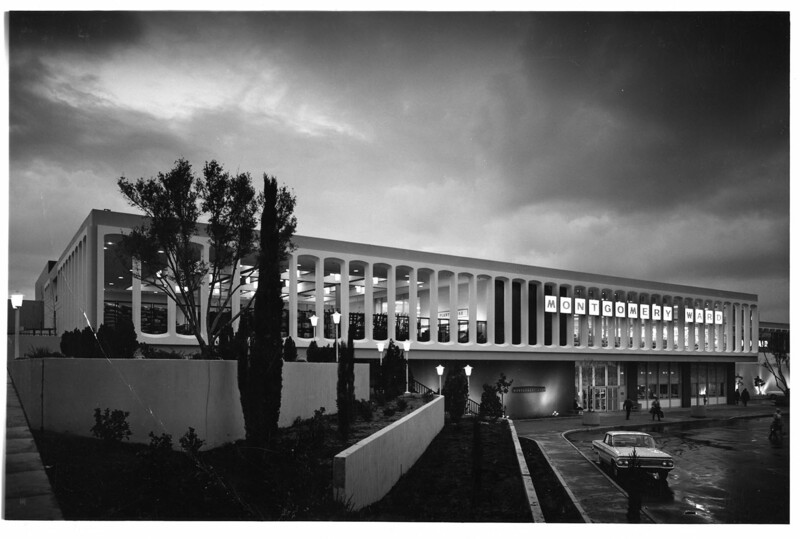 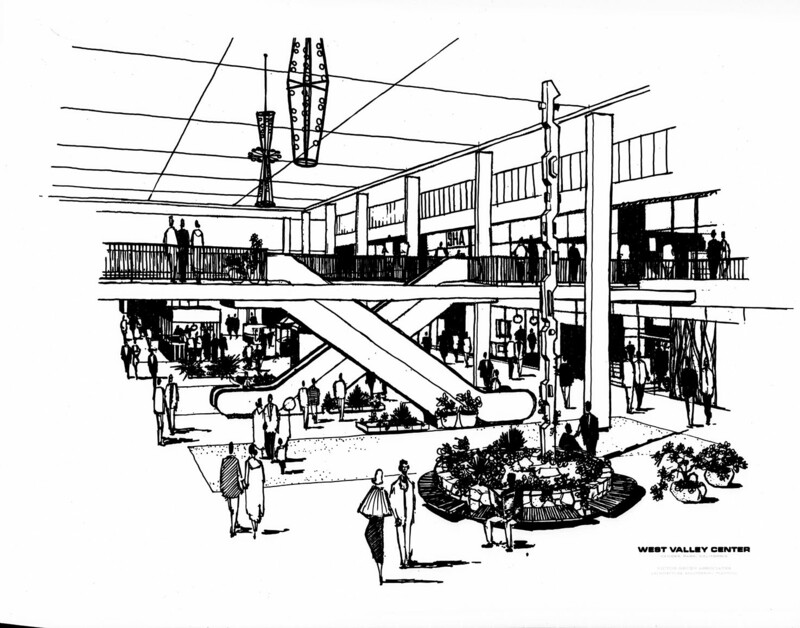 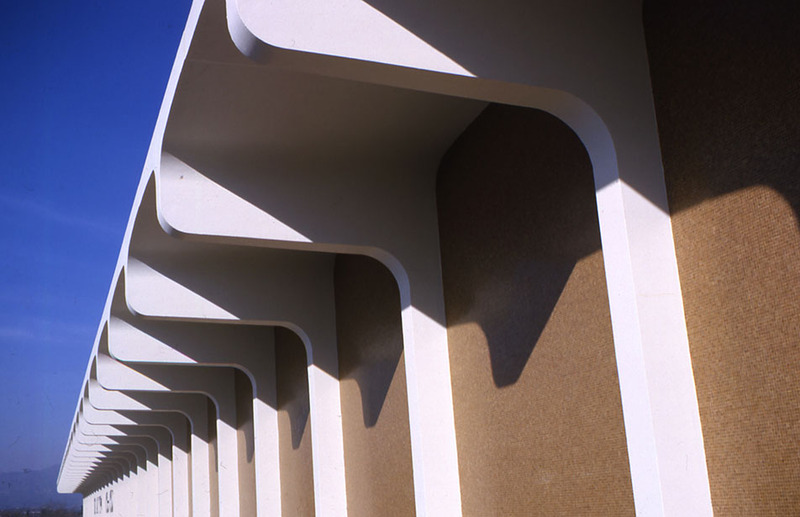 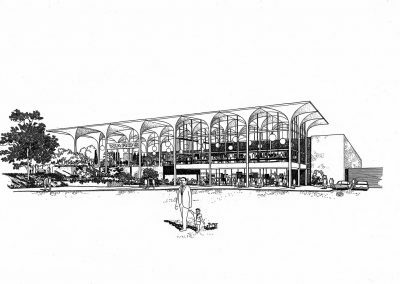 Completed in 1964, Victor Gruen Associates provided planning, architecture, engineering and interior design services for Topanga Plaza in Canoga Park, California. 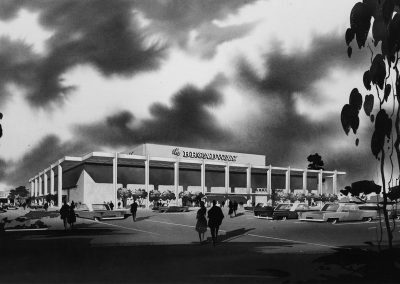 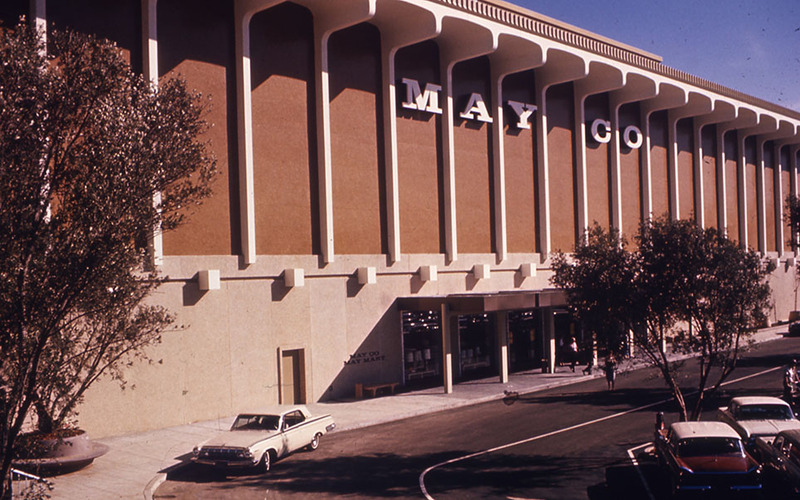 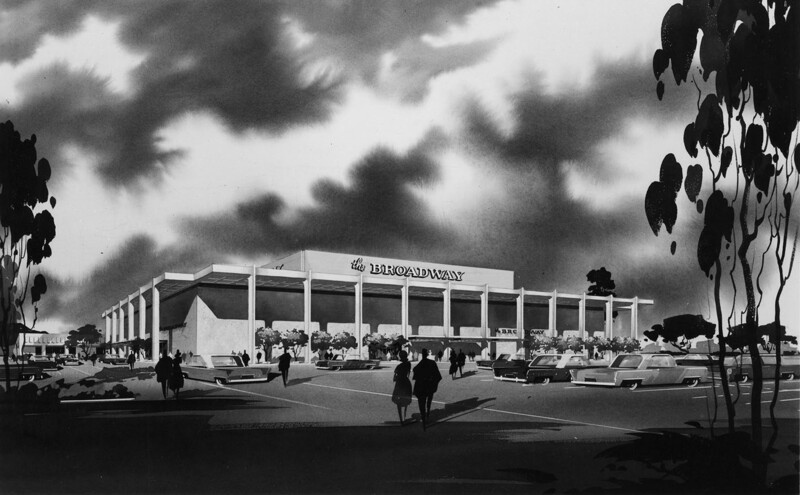 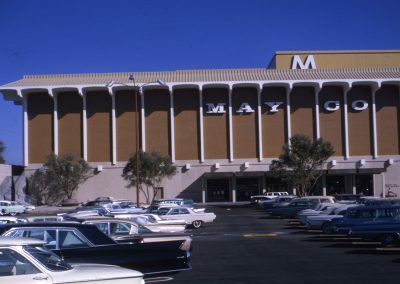 As the first enclosed shopping mall to open in southern California, Topanga Plaza was developed by Saint Louis-based May Centers, Inc. and built in the San Fernando Valley on a 58-acre tract, 25 miles northwest of the city center. 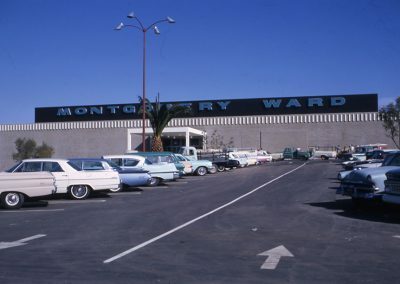 The land parcel had been part of the Harry Warner Ranch. 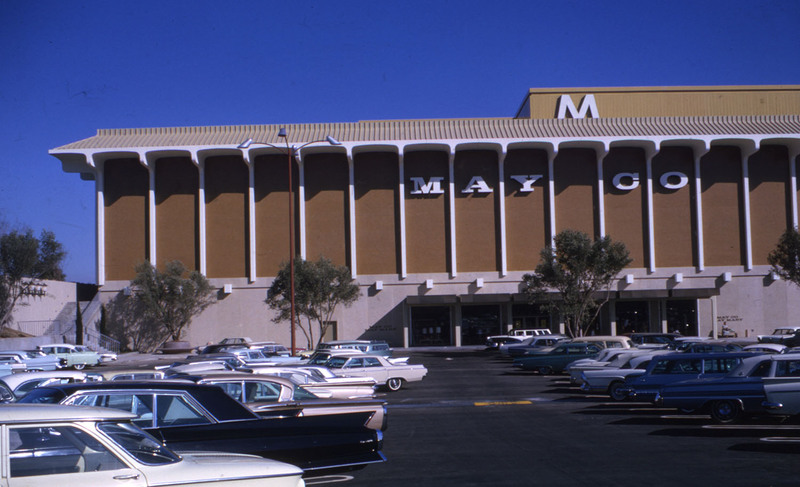 The original mall enveloped 727,100 leasable SF on two levels and housed 83 retailers. 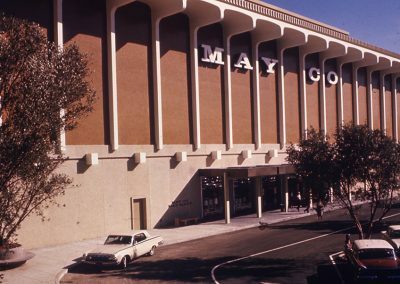 The first stores in business were the May Company, Montgomery Ward and The Broadway, serving as anchor stores for several decades. 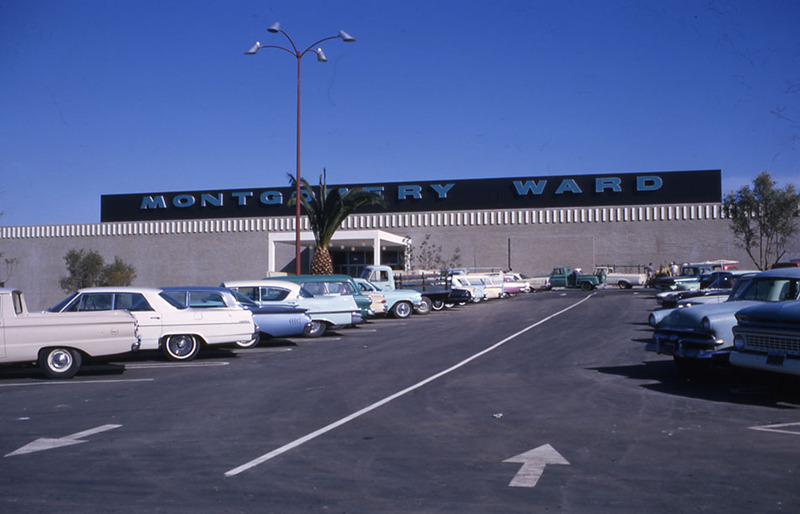 Charter tenants included Joseph Magnin apparel, Mullen & Bluett ladies’ apparel, Silverwood’s men’s and boys’ apparel, Lane Bryant, Kay Jewelers, Florsheim Shoes, Hardy Shoes, Frederick’s of Hollywood, Hudson’s Jewelers and Sutton Brothers Home Decorating. 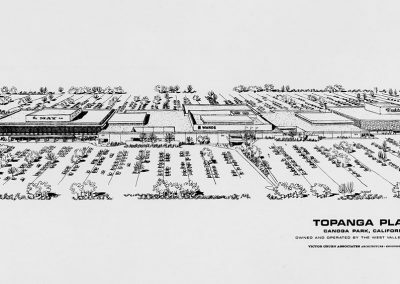 Topanga Plaza is now the modern-day Westfield’s Topanga shopping center.